Compact Fluorescent Lamp (CFL) offers a compact, energy-efficient alternative to incandescent and standard linear fluorescent products. 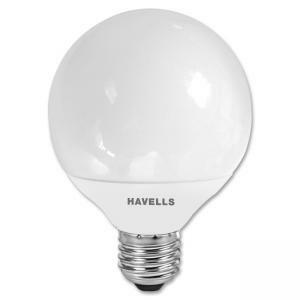 The CFL globe design (G25) features soft white (2700 Kelvin) energy saver and uses 75 percent less energy. 14-watt G25 bulb offers the equivalent of 60 watts and an 8,000-hour life. 120 volts.